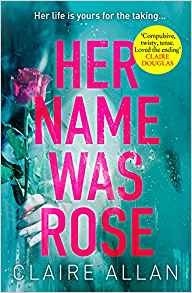 Her Name Was Rose is a psychological thriller from Claire Allan and is described as a ‘gripping and heartbreaking story’. It is a novel that pulls you right into the pages as you follow the story of Rose and Emily, two strangers whose lives become interwoven in rather a twisted manner. Emily’s life changed dramatically the day she walked out of a lift, giving way to a young mother and her baby. Quick as a flash a car appeared, with speed, taking the life of the mother, but leaving the child unharmed. Emily is rattled with grief. It should have been her. Already trying to establish a new life for herself after a rather sketchy few years, Emily is left traumatised, imagining all kinds of scenarios and convinced that her past is finally catching up with her. Trawling through social media posts, Emily becomes fascinated and a little jealous of the perfect life that is portrayed. Rose is carefree and happy in her photos. All her posts are almost flawless, with her husband Cian and son Jack by her side. Viewing these images makes Emily envious of this life that she never had. Emily wants to find love, she wants to find passion. She needs this warmth in her life and decides why not? Why not her? Is she not deserving of a second chance? Maybe now it’s her turn to shine. Her current job in a call centre has never stimulated Emily and she starts to think maybe there are other opportunities waiting for her and maybe it’s time for her to grab the horns and take them. But as the saying goes ‘The grass is always greener on the other side’. Emily and Rose’s stories are very different yet, as we discover, both have secrets that are kept hidden from the world. Claire Allan drip feeds us this information as we get slowly reeled into their lives. Cian is grieving. His outpourings for his wife, his pain, is palpable off the pages. He turns to social media to help him put words to his heartbreak, as he attempts to deal with the pieces Rose left behind. Emily, suffering from anxiety, has great empathy with Cian. He is a writer, now locked in torment, suffering from a horrendous injustice. Emily character is one that draws frustration and anger from the reader, yet she is also so very vulnerable and pliable. She just wants a better life for herself, she wants the Instagram life with the filtered images and happy faces. Claire Allan weaves an intriguing tale around the main characters. We are witness to terror, heartbreak, panic, trauma, tears, breakdowns as the story moves swiftly forward. Her Name Was Rose captures the vulnerability of Emily wonderfully. She is a damaged individual who is suffering from delusions and soon finds herself way out of her comfort zone, yet holding on tight with a fear of the unknown ahead. It’s hard to believe that this is the first book in this genre by Claire Allan, with her writing previously in women’s fiction. Expect big things from Claire Allan…..I think she has found her platform. Her Name Was Rose is a dark and sinister read with tense scenes and skin-crawling moments. 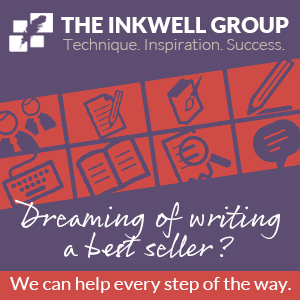 I have no doubt it’ll be ranked in the bestsellers list this summer….you have been warned!